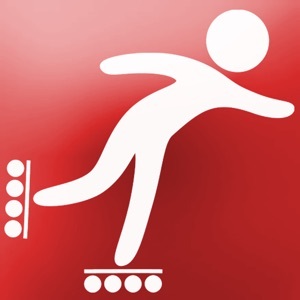 — NEW: APPLE WATCH APP — SKATE LIKE A PRO iSkate is a skate computer for tracking your rides -- always at your fingertips on your iPhone! 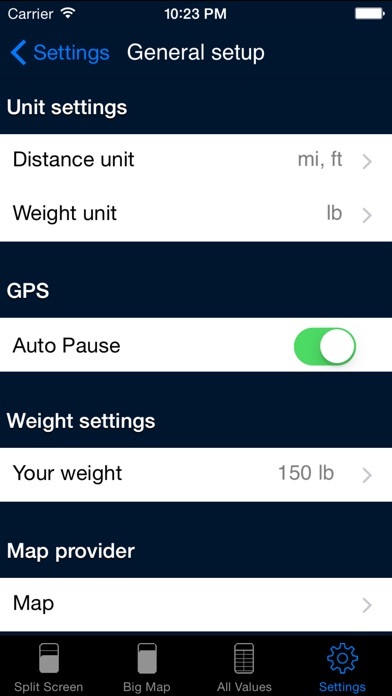 - Post your recordings to Facebook and Twitter - Full iOS7/8 and iPhone6/6+ compatibility with multi tasking support - Now with HealthKit integration to evaluate your statistics - Continuous Recording of your training with the display turned off for up to 8 hours iSkate provides all the information you need on the track. Our stylish user interface combined with maximum ease of use create a new experience on the skates that has never been done before. 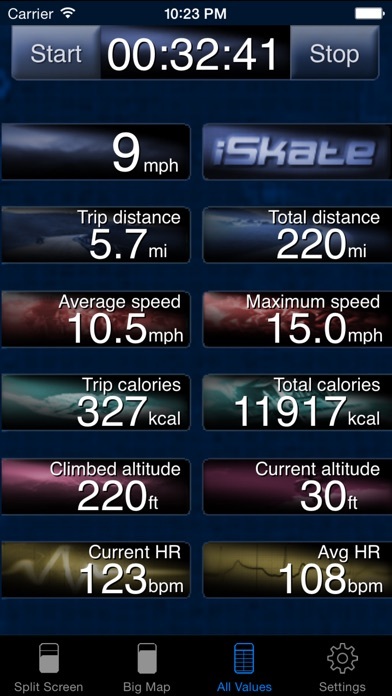 FEATURES - Accurate values for current speed, average speed, maximum speed, total distance, trip distance, current altitude, climbed altitude, burned calories as well as trip time. Units can be set to US or metric. - Watch yourself automatically move on the map and zoom in on your trail - Receive your trips via email (KML und GPX) and review them at home (e.g. 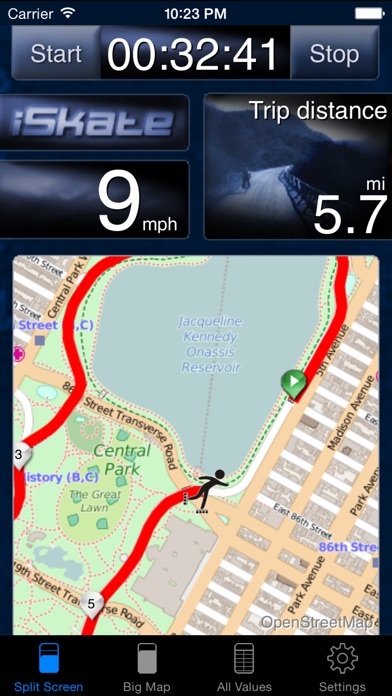 with Google Earth) or share them with other skaters - Suspend, pause and resume for trips allows you to receive calls or take a break - iPod function can be used together with iSkate Based on countless test drives and refinement we calculate all values with maximum precision of the built in GPS. You have never seen your actual performance on the skates before -- there has not been anything like a skate computer before! For the full experience we recommend to use it in an iPod pocket on your jacket or another pocket where the phone can directly catch GPS signals from the sky. BUT THERE IS ONE MORE THING! A MAP! Including trails! 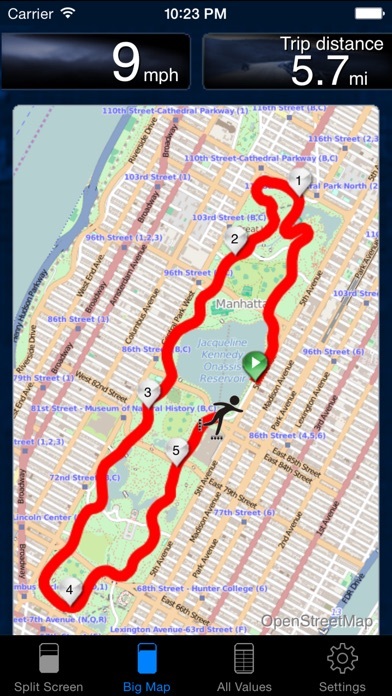 In the cities, nearly all streets and side-trails are there: Somebody from the huge OpenStreetMap community has already mapped the trail for you! A community of more than 150.000 people is constantly mapping trails around the globe! This really brings skating to the professional level! 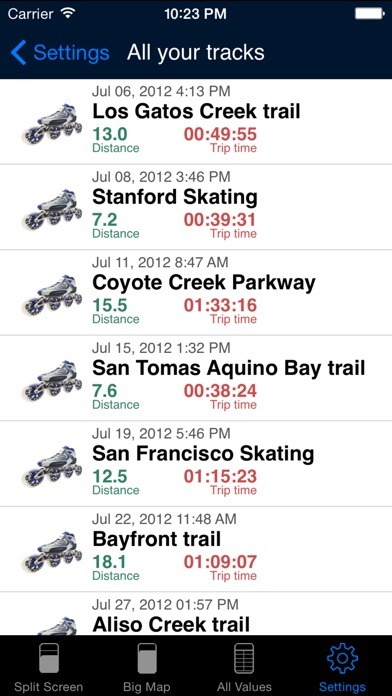 Our iSkate App makes perfect use of what the iPhone can do with GPS, connectivity and the amazing screen resolution. And watching your tracks at home is more fun then ever, especially after a hard workout! GET FREE UPDATES SOON! Our community is thrilled by the maps and the intuitive and sleek UI. We are eager to get feedback and implement cool new stuff. We care about your opinion! Check it out and let us know what you like and if there is anything you miss! iSkate - SKATING WILL NEVER BE THE SAME AGAIN! Please note: Continued use of GPS running in the background can dramatically decrease battery life.